Earth cross-section mangled from THE INTERIORS OF THE TERRESTRIAL PLANETS. Encountered using The Great Globe Gallery. Clouds image from Picturing altitude above maps and NASA JSC Imagery Services. Hmm... clouds image might be too small by a factor of two...? 15 km to tropo. and was generated Oct 97 using this URL. as does DMA/ONC (ids like F-19). Other meta info on zero magnification page. Check scale of cloud image. How much does atmosphere depth vary? 2003-Feb-03   Repaired links - 1 fixed, 1 left (tiger). 2002-Apr-11   Changed link (evacuating www.tiac.net). 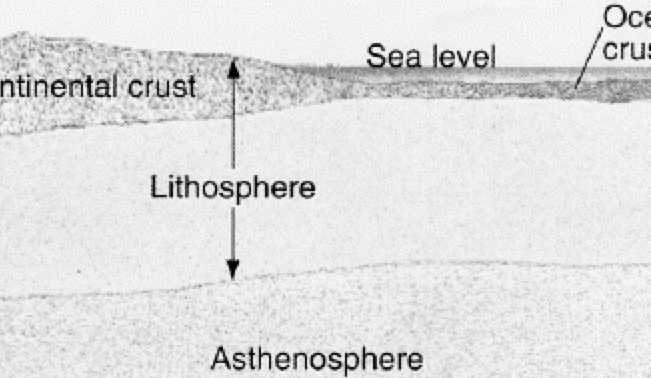 1999.Jul.17   Added sketch of earth cross-section. 1997.Oct.17   Added boston map and scale bar.